Fans wonder what the actor would look like as genie in human disguise. As the premiere date for Disney’s much-anticipated live-action Aladdin biopic inches closer, the film’s producers are giving us more and more of a glimpse into what we can expect to see when the film hits theatres on May 24. 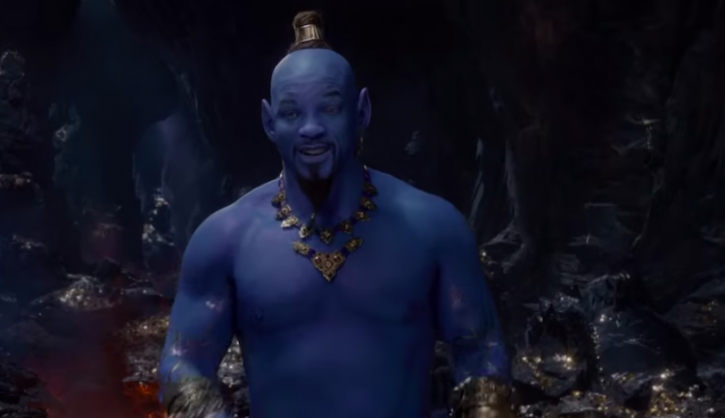 An Entertainment Weekly cover spread showed what actor Will Smith would look like as genie in human disguise and fans did not take too kindly to the look. They were also left wondering why he wasn’t blue, a look which producers promised would be revealed at a later stage. But their disappointment has continued with the first look at him as a computer-generated blue genie. Many took to Twitter to share their disappointment in real time. I wanted to see if this would work in Photoshop. Turns out it didn't even need any colour correction ??? ?.